Out for Australia has announced the nominees for their 2018 Australian Role Model Awards, and OUTinPerth’s Leigh Andrew Hill is among the finalists. The awards recognise inspiring people who have each had a positive impact in the LGBTIQ community, Leigh has been nominated in the Young Professionals category. Leigh first joined OUTinPerth as part of a University internship program. The internship led to full time employment, until the parent company that owned the magazine was forced to shut down in 2016. 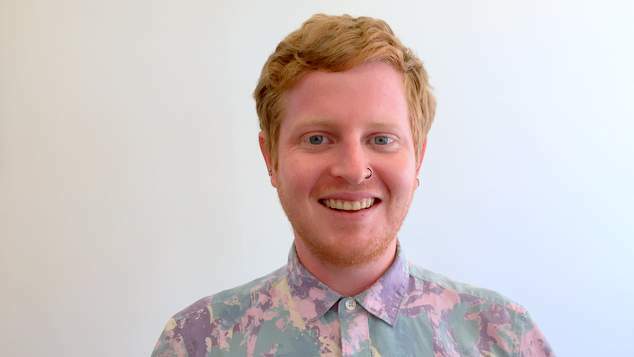 As a result of his own personal journey as an LGBTI+ person and through his tertiary studies, internship and full-time employment, Leigh discovered his passion and capability for covering queer politics, arts and culture, history, and local community groups. 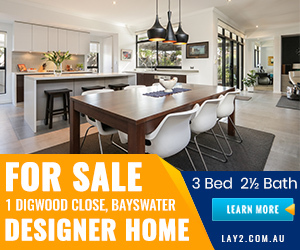 It was this passion that led to Leigh and colleague Graeme Watson deciding to form Speirins Media Pty Ltd, buy the rights to OUTinPerth and ultimately continue to publish the magazine. Leigh is currently Creative/Content Editor for the magazine and website. “When I heard I had been nominated, I can’t say I ever expected to make the shortlist. Seeing my name alongside these incredible LGBTIQ+ Australians has left me flabbergasted.” Leigh said. “In 2015 when I took the internship with OUTinPerth under its former owners, I would have laughed if you told me in two years time I would be running a business and co-editing a publication alongside my mentor, but I am inspired every day by the passionate and hard-working members of WA’s queer community. Leigh said he also wanted to acknowledge business partner Graeme Watson’s stalwart dedication to WA’s LGBTIQ+ community, describing Graeme as someone who challenges and inspires him to think critically, creatively and with compassion. Leigh joins two other nominees in the Young Professional category. Kochava Lilit is nominated for their work with the group Ygender. Kochava leads a team of trans/gender diverse young people in advocating for trans rights and creating autonomous community spaces. They run regular social events that give trans young people a space to connect with each other, have a place where their gender will always be respected, and ask each other for advice. They also run workshops and training sessions at unis, schools, workplaces, youth services, medical services and more on gender diversity, trans rights, and inclusive practices. The third nominee in the Young Professional category is Nicholas Steepe from Dubbo in New South Wales. Nic is one of the key individuals responsible for the Central West Pride March, and is heavily involved in the Central West Rainbow Alliance, promoting inclusion and support for regional LGBTIQA+ individuals. He also sits on The Pinnacle Foundation Management Committee as the Scholar Advocate, an organisation that provides scholarships and mentorships to disadvantaged and/or marginalised LGBTIQA+ people. The other awards are for Established Professionals which includes nominations for Rebecca Johnson the co-founder of IndigiLez Women’s Leadership & Support Group, for Aboriginal and Torres Strait Islander Lesbian, Same Attracted and Bisexual women. Also nominated is Brendan Moore, the inaugural Chair of Yarra Valley Water’s LGBTIQ+ Diversity Group, a position he pursued because of his time working in regional communities as part of the construction and engineering industries where LGBTIQ+ openness, acceptance and inclusion aren’t common. The third nominee in the Established Professionals category is Kimberly Olsen, founder and CEO of Trans Employment Program Australia, a program to assist recruitment for trans and gender diverse people. Kimberly also works at Uniting, where she is responsible for adoption of LGBTI specific learning strategies for aged care. In the student section there are nominations for Cai Langford, a non-binary student who was instrumental in having gender neutral bathrooms installed at Adelaide University. Aadarsh Prasad a queer person of colour has been recognised for works as a Queer Officer at the University of Sydney, while Issac Roberts is a deaf 21-year-old Brotherboy from Far-North QLD who advocates for transgender rights. The awards are based on a popular vote, and voting is now open. Head to Out for Australia to cast your vote.